Please contact Carol directly by email if you have any interest in buying a painting shown on this web site, or would like to enquire about other available works. Carol has over 20 years of hands-on experience in selling African art in Kenya and is happy to give advice and insight into the market. If you are purchasing locally and in person, we accept payment by major credit cards including Visa, Mastercard, American Express and also by cheque. Works are either flat packed or removed from the stretcher and rolled. One Off have successfully shipped to countries all over the world, including Japan, Australia, USA, UK, Philippines, Canada, Switzerland, Germany, Belgium, France and South Africa. For overseas sales we prefer payment via Bank Transfer. One Off partners with DHL to courier the artwork to you by the quickest and most reliable means. All exported works are fully insured. On receipt of your funds you will be emailed with the way bill number and can track your shipment at DHL.com. The cost of the courier service will be quoted to you on an individual basis and will be added to the quoted price of the painting. All works are sold on the basis of once sold they are not returnable. However we accept that there is a very small chance of damage to exported works. In the unlikely event that there is damage to the packaging, please open the consignment in the presence of the DHL courier so that the extent of the damage can be witnessed prior to an insurance claim being submitted. 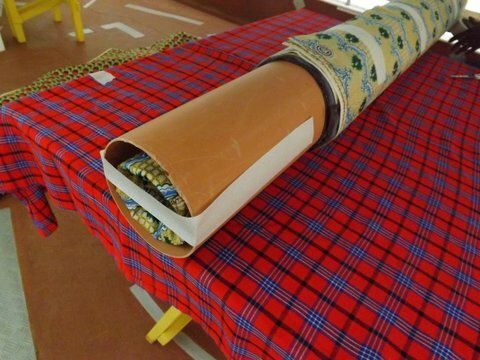 Every painting over the value of US$200 leaves the gallery wrapped in a piece of African Kitenge cloth printed in Tanzania. 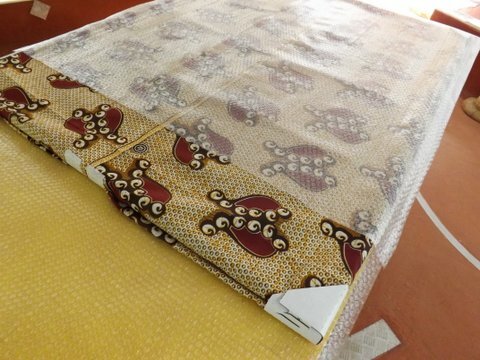 Flat packed works are generally protected by Kitenge cloth followed by sheets of straw board and in some cases, a custom made crate manufactured from MDF board. 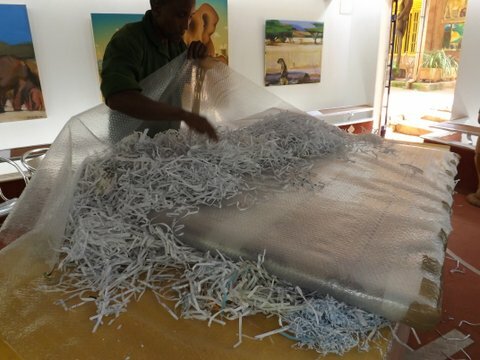 If the works can be flat packed that is always our first choice but if the need to roll large canvases presents itself, your canvas will be rolled, oil paint to the outside, around a very sturdy piece of PVC tube. If a double consignment e.g. an oil painting and paper work, we usually ship oil paintings on the outside of the tube and paper works inside the tube. 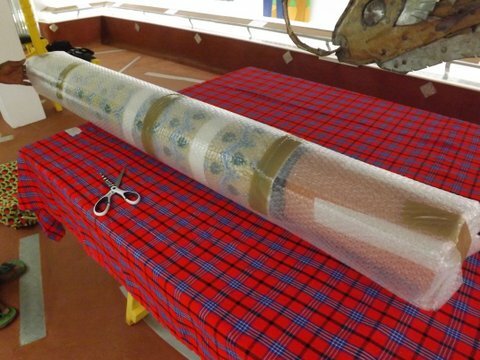 The work will be wrapped interleaved with a piece of Kitenge cloth and finally it will be covered with a number of layers of bubble wrap. Please note that all packing is included in the price of the artwork except in the case of custom made crates which will be quoted on an individual basis.